…The BB-PC was inspired by the original Brown Berets that arose in the 1960s and led the Chicano movement in harnessing the people in the barrios with their many independent institutions from free health clinics, child care, free food programs, schools, newspapers etc. We draw from this legacy of serving the people and dig deeper in the theoretical realm. We do not answer to any other chapter nor does any other existing chapter answer to us, we are an autonomous chapter which due to the extreme repression in Amerikkka’s history operates underground within U.$. prisons. Currently we are the first and only prison chapter in Amerika but we expect many more chapters to develop in many other prisons and states as Chican@s develop politically. We do not publish the names of the BB-PC cadre; our chapter resides in Pelican Bay State Prison. We believe as Mao taught that class struggle continues even under socialism, as a new bourgeoisie develops as happened in the USSR after the death of Stalin in 1953 and after Mao’s death in 1976. Mao advanced communism the furthest thus far in world history and it will be through a Maoist program that we liberate Aztlán. Today’s prisons are meant to dehumanize the people and break our will to resist. The internal semi-colonies that are captured and held in these concentration camps face much of the same repression from the state, we understand that to better our living conditions as prisoners it will depend on a united front of oppressed prisoners for legal battles and other effort to obtain human rights in prisons and we will cultivate this collaboration. The SHUs and similar models are designed to unleash population regroupment on the imprisoned Chicano nation. It is well known that the most revolutionary elements of the Chicano prison population are plucked from general population prisons and sent to the SHU or other control units in an effort to isolate the revolutionary vanguard from the prison masses, this isolation is then used to torture Chicanos en massethrough solitary confinement and other psychological methods for years and decades. We understand that this is done primarily to prevent the captive Chicano revolutionaries from mobilizing our mass prison base. We see the control units in Amerika as modern day concentration camps as we are sent to those camps not for physical acts but for thought crimes, beliefs or supposed beliefs that oppose the state. We work to overturn the use of control units in every prison in Amerika. We are against oppression in all it’s forms within prisons. This includes prisoners preying on prisoners, abuse from the hands of guards, patriarchy or any abuse physically or psychologically. In Amerika prisons are tools of imperialism used to inflict terror on the internal semi-colonies out in society and stifle any resistance to their war on poor people, having experienced and identified the full onslaught of this offensive we take it head on to combat all forms of abuse from the state or otherwise and this includes combatting the state propaganda and tactics of pitting prisoner against prisoner by political education so that prisoners understand who the oppressor is. We not only see political prisoners as those who were politically conscious out in society and came to prison for acts of the movement, we go past that in our analysis and also see SHU prisoners as overwhelmingly political prisoners who are systematically tortured for their ideas or alleged thoughts. We also see most prisoners in U.$. prisons as political prisoners because living in imperialist amerika many of the “Crimes” and criminal injustice system that we face is nothing more than national oppression that is exercised in order to uphold the capitalist relations of production and we work toward freeing the people. Our aim is communism but we understand it will take many years for this to become reality. 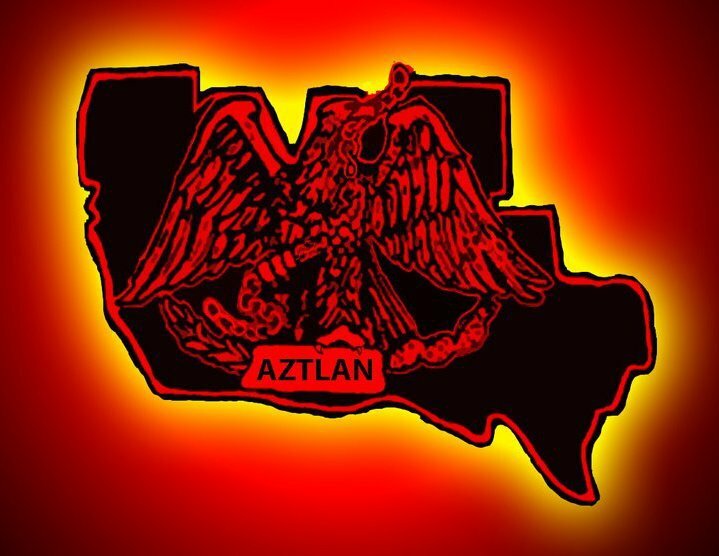 At this stage we are working for Aztlán independence which will only occur after the defeat of imperialism. We work toward a socialist Aztlán where the peoples’ needs are met; things like land, bread, education, health care and many more needs will be met and peoples’ power will be exercised in order to transform not just society but prisons as well, to a more vibrant and just environment where all will have an opportunity to grasp revolution and promote production. We will transform these prisons ideologically in order to prepare the ground for these developments as we serve the people. should stop being called hispanic.